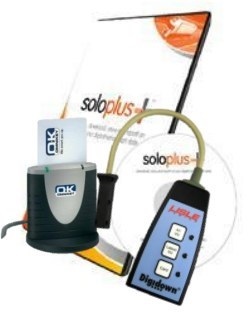 The ultimate kit to keep you & your vehicle UK compliant! SKU: Product Code: Solo+Digi. Category: Digital Products. PC/SC Compatible smart card reader and vehicle unit device. A high-performance smart card reader for desktop use with multiple standing options in a robust housing. It is an easy-to-install USB device suited for all driver smart cards. Connects to PC via the attached USB cable. The Lisle Digidown device downloads data from digital tachograph vehicle units (VUs) from all current tachograph manufacturers. Data downloaded from the Tachograph is stored in a Secure Digital memory card (SD Card). ALL VU Downloads all contents from the VU. LATEST VU Programmable1. Options include the last 1 or 3 months of data plus a selection from events & faults, detailed speed and technical information. CARD Downloads a Driver Card inserted into the VU. We also sell the Lisle Digidown Plus!